History is bound to repeat itself. That is fine for Mean Green Machine, but 7 other teams could be doomed if it does. From 2000 – 2015, the Tournament of Destruction Round 1 winning team eventually became that year’s series Champion 10 times! 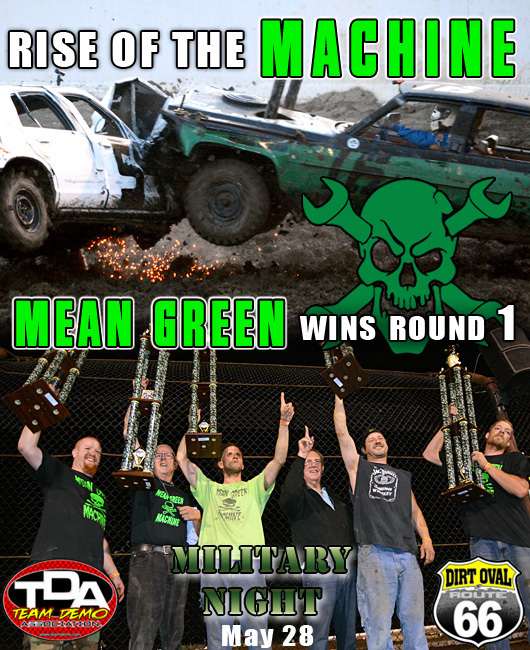 Mean Green Machine began their path towards the 2016 Championship and once again etching their name into history. TORC: The Off-Road Championship next Friday and Saturday! The high-flying race trucks of TORC invade the Dirt Oval at Route 66! 2016 Tournament of Destruction Round 1: Military Appreciation Night – this Saturday! Racing and Wrecking Season is on the horizon. 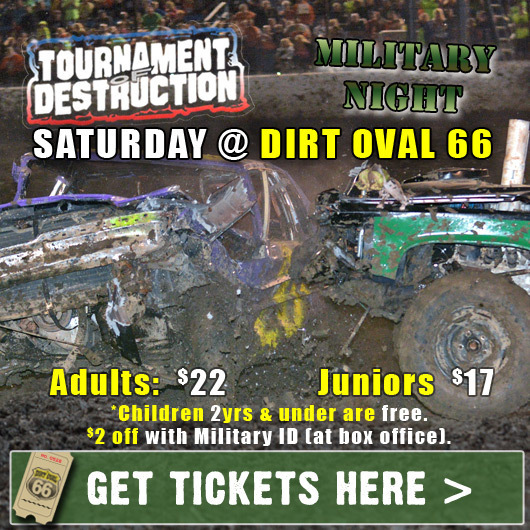 Make plans… get the discounts… and experience all the action @ Dirt Oval 66! 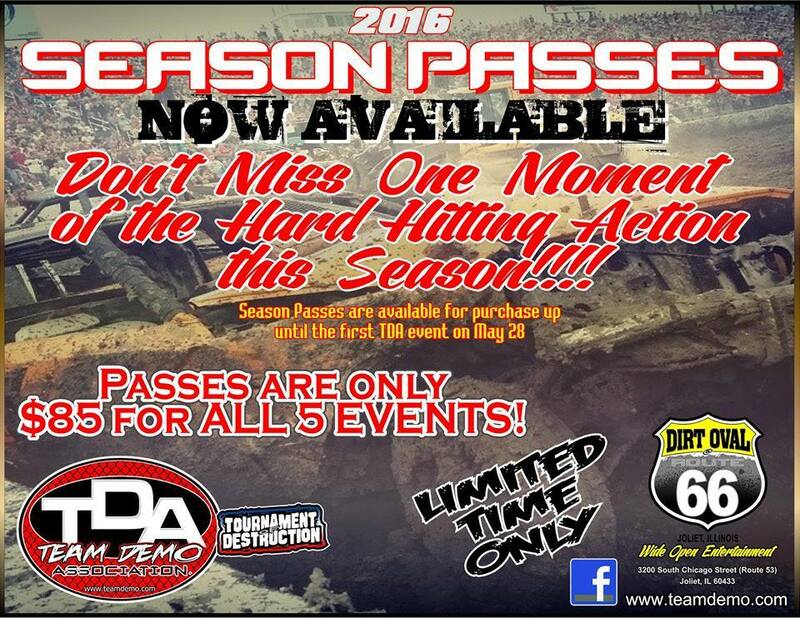 Tournament of Destruction Season Passes – Final Opportunity! 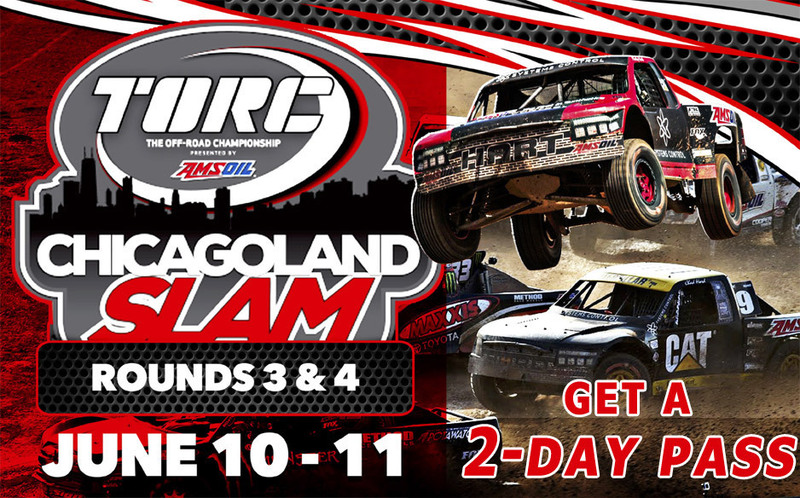 SALT LAKE CITY, Utah (May 13, 2016) – The premier shortcourse offroad truck racing series returns to the Chicago area June 1011 for Chicagoland Slam, the second doubleheader stop on the 2016 TORC: The OffRoad Championship calendar.